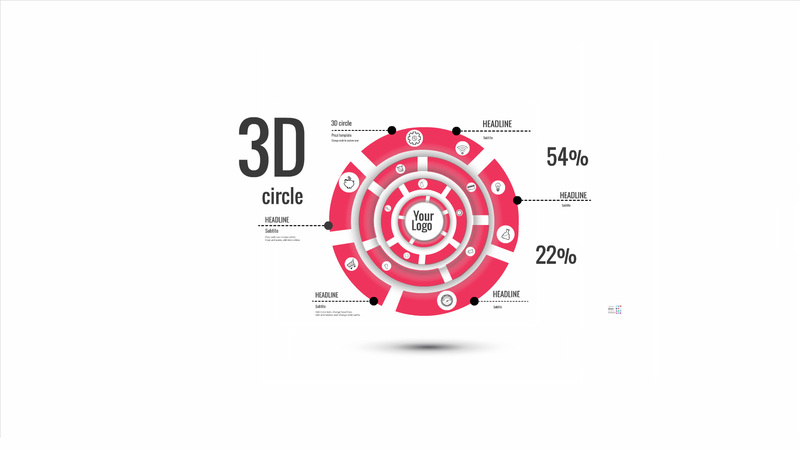 3D circle Prezi template have statistics related topic and red coloured technology circles. 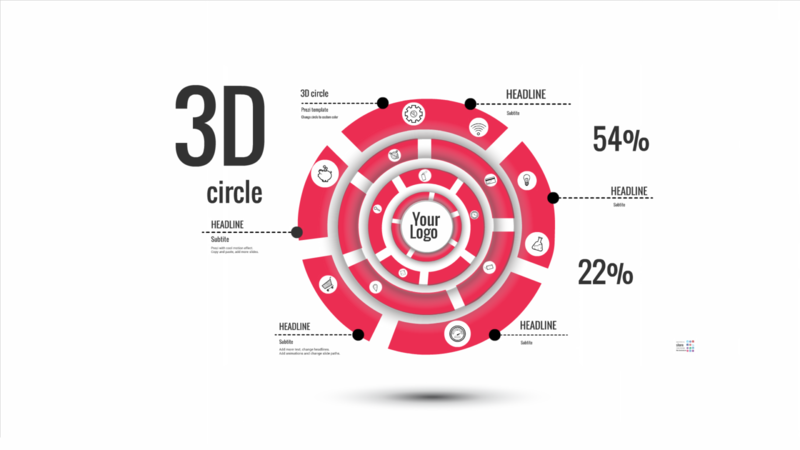 The design of presentation including shadows and red circles, where you can change the background of circle very easily. The presentation is recommended for topics: statistics, futurism, business, management, sales. Move, scale and rearrange and don’t lose any quality while zooming in, because all elements are vector base. Zoom in and add your content where you want. Duplicate and add more slides. Add your text and logo, change a topic. You can use more Prezi symbols and shapes to add extra illustrations to the presentation.